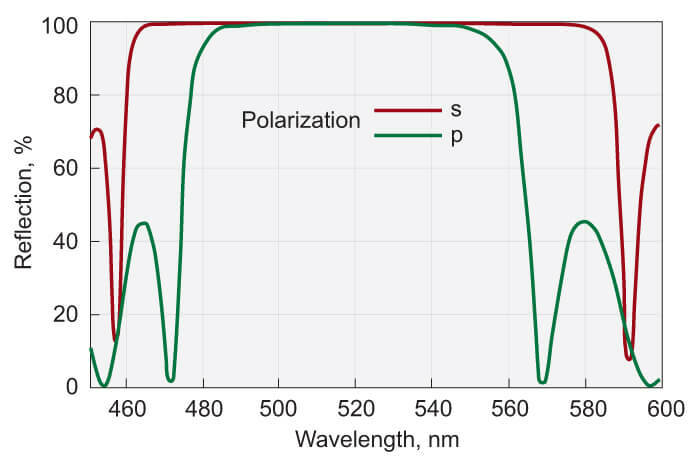 Laser mirrors for femtosecond applications are designed to have a broad operating wavelength range and linear phase versus frequency characteristics (low group delay dispersion (GDD)). 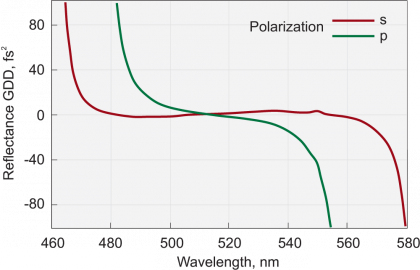 The coating is a single layer dielectric and has no phase shift over the operating wavelength region. 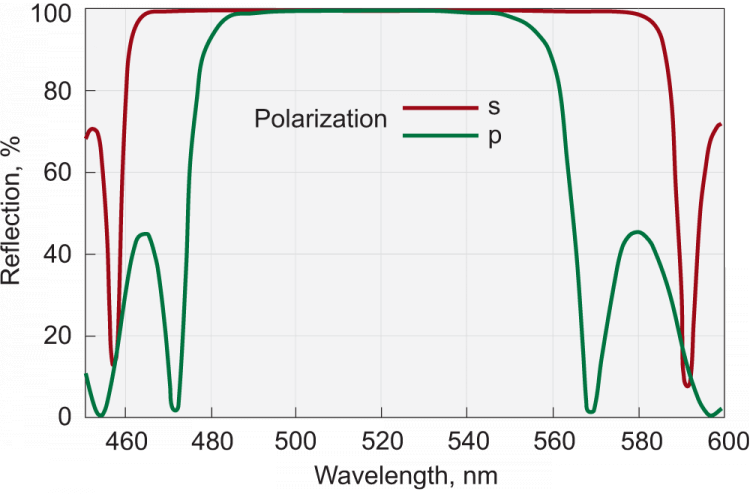 High reflectivity mirrors always have higher reflection, broader operating region and lower pulse distortion for s-polarization than for p-polarization for the same dielectric coating. 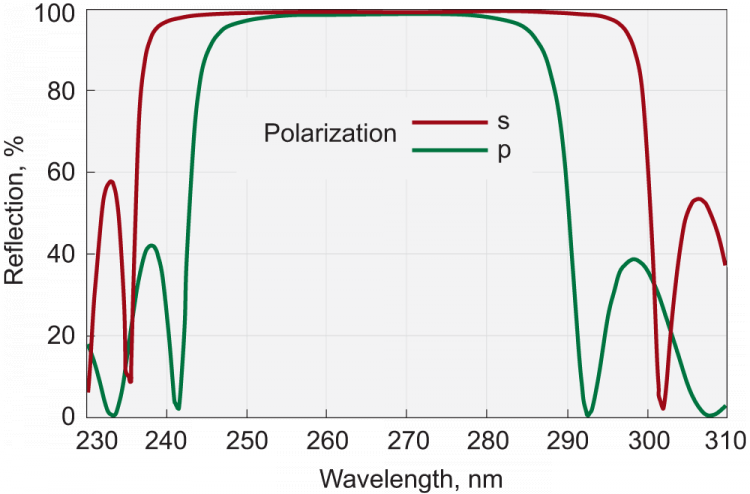 If possible use the mirrors with s-polarized beam. Our standard mirrors are suitable for fundamental Ti:Sapphire and Yb:KGW/KYW lasers and their doubled, tripled or quadrupled frequencies. Recommended for high power laser applications operating in UV region.